On July 24, the Institute of Energy Economics, Japan (IEEJ) released a report entitled "Economic and Energy Outlook of Japan for FY2018," referring to the fiscal year beginning in April 2018. 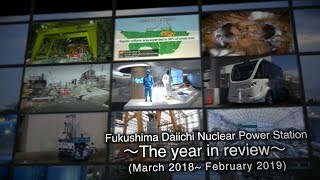 In FY18, although Japan’s economy will remain firm with growth exceeding one percent for four years in a row for the first time since FY03-FY07, primary energy consumption will decrease by 0.6 percent (compared with a 0.1 percent decrease the year before), as a result both of continued energy conservation efforts and more modest economic growth than in the previous fiscal year. 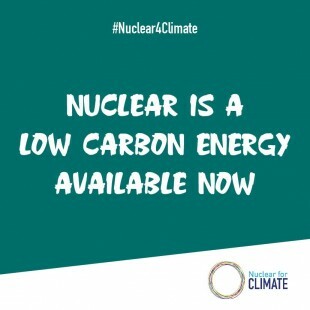 Combined with the restart of several nuclear power plants (NPPs) and the increased use of renewable energies, energy-derived CO2 emissions will decline for the fifth consecutive year. They had stood at 1,113 million tons in FY17, down 2.0 percent, and will be 1,096 million tons in FY18, down another 1.6 percent. As for nuclear power, five NPPs have resumed operation, having met the new regulatory standards: Takahama-3 and -4 (owned and operated by Kansai Electric Power Co., or Kansai EP), Ikata-3 (Shikoku Electric Power Co.), and Sendai-1 and -2 (Kyushu Electric Power Co.). If a total of ten NPPs are restarted by the end of FY18 (by March 2019)—in contrast to a case in which no additional NPPs are restarted beyond the current five—the total value of imported fossil fuels will be reduced by JPY500 billion (USD4.55 billion at USD1=JPY110), real GDP will increase by JPY500 billion (USD4.55 billion), and CO2 emissions will fall 2.7 percent. According to a report issued by the Agency for Natural Resources & Energy (ANRE) in April of this year, replacing the electricity that was supposed to be generated by still-suspended NPPs by increased oil-fired or gas-fired power caused an increase in fuel costs during FY16 of some JPY1,300 billion (USD11.8 billion) compared with the period before the giant March 2011 earthquake (FY08-FY10). That represents an increased burden per capita of about JPY10,000 (USD90.90). In addition to the reference scenario in which, by the end of FY18, a total of ten NPPs would be restarted, two scenarios have been evaluated: a low-restart scenario (that is, no NPPs restarting beyond the current five), and a high-restart one (a total of 17 NPPs restarting). In the low-restart case, all measures of economic efficiency, energy supply stability and environmental friendliness are generally half of what they are in the reference case. In the high-restart case, in comparison with no NPP restarts, the value of imported fossil fuels is expected to fall by JPY700 billion (USD6.36 billion), real GDP to climb by JPY800 billion (USD7.27 billion), and CO2 emissions to decline by 4.0 percent. Economic ramifications and environmental protection are superior to those under the reference scenario. The report concludes that the pace of NPP restarts will affect improvement of the “3E’s” (economy, energy supply stability, and the environment). At present, in addition to the five NPPs in operation, seven NPPs have cleared examinations to confirm safety under the new regulatory standards. Work toward their restart is progressing.